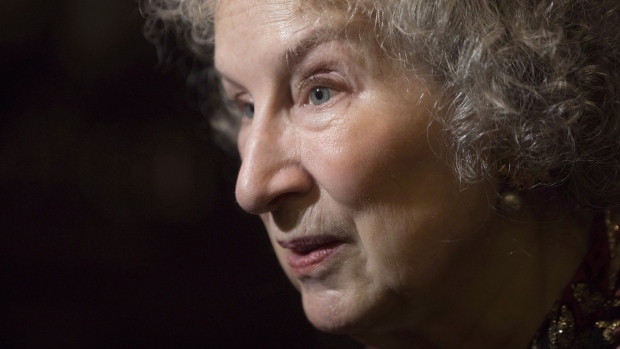 Margaret Atwood is adding another accolade to her collection as the 2018 laureate of the Adrienne Clarkson Prize for Global Citizenship. The annual prize, named for former governor general Adrienne Clarkson, is awarded annually to an individual who has demonstrated commitment to the principles of inclusion and belonging. In a statement, Clarkson lauded Atwood's luminous literary career and social activism at the local, national and international levels. The prize will be presented in Toronto on Sept. 26. In addition to the dozens of honours her works have received, Atwood won the Peace Prize of the German Book Trade, the Franz Kafka Prize, and PEN Center USA's Lifetime Achievement Award in 2017. A stalwart of Canada's literary scene, the 78-year-old has penned more than 50 books, two of which were recently revived for the small screen with serialized adaptations of "The Handmaid's Tale" and "Alias Grace." "She is a dynamic force in the world today," Clarkson said in a statement Wednesday announcing Atwood as the winner. "We want to honour ... all she has done in her personal and professional life to make us aware that we are citizens of a country like Canada and of a planet that is our precious earth." Established by the Institute for Canadian Citizenship in 2016, the Adrienne Clarkson Prize for Global Citizenship has also been awarded to Chinese artist and activist Ai Weiwei and the Aga Khan, the spiritual leader of the world's Ismaili Muslims.